IT IS JUST OUR ADVICE, BUT HEY, IT'S FREE! What Is The One Thing You Can Do This Month To Help Your Search Rank? Ask Your Customer to Post a Review of Your Business Online…It Will Help Your Ranking! It’s no secret that Google keeps its algorithm that determines who ranks first to last a BIG SECRET. No one, outside of a few “Googlers” know for sure. So each year David Mihm of Moz takes a survey of local search experts from around the world asking them what they think are the most (and least) important ranking factors for businesses in local search, Google in particular. This survey is one that we look forward to every year as it always offers some great clues to help our client’s search rank. And with all the chaos of this past year in Google’s local search platform, boy, we could use some clues. Perhaps the biggest change in this years ranking factors versus last years is the strength of online reviews. While the quantity of “native Google reviews” comes in #12 under “Foundational Ranking Factors”, under “Competitive Difference Makers” online reviews comes in at #3 (Quantity of reviews by authority reviewers), #6 (Quantity of Native Google Places Reviews) and #12 (Quantity of Third-Party traditional reviews). Do you have a strategy in place to get good reviews from your customer? A good start is to get your customer’s email address (hopefully, you have had them forever). Within a day or two of a transaction with you, send them a “Thank You” email and ask them whether their recent experience with your business was up to snuff. If their reply is negative, contact them immediately to address their dissatisfaction and find a way to make it right. If however they reply with positive feedback then send them another one now including links to each review site that your business is listed on e.g. Google+, Yelp, CitySearch, etc. This way you head off a bad review at the pass, before they’ve likely had a chance to go online and dump on you. If they have had a great experience, giving them a quick and easy way to tell the world how great you are will increase the chances that they will take that one extra step. You know how hummingbirds fly almost silently? That’s how Google’s latest “update” to its search algorithm seemed to even those in the SEO community. 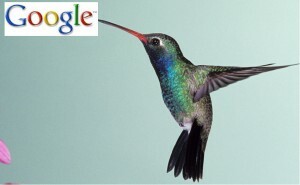 Most likely, you haven’t heard of “Hummingbird” or noticed any change in Google at all. Don’t feel alone as many SEOs didn’t know it even existed until a month after it went live. Unlike Google’s previously well publicized updates like Panda and Penguin (what’s up with Google’s fixation on animals? ), Hummingbird was kept hush-hush. And this bird is a whole new animal. In fact, it’s a whole new algorithm that draws upon a bunch of new “signals” to determine what to present to you when you search for something on Google. These new signals include your social media footprint, what type of device you are searching on and lots more. In the past (like in September), Google matched the keywords that you type into the search query bar with their huge database of websites and businesses looking for matching words. Now, rather than just matching words up Google is trying to figure out what your intention is. For instance, if you are in San Diego and you use your cell phone to search Google for “pizza”, Google may figure that you are on the road and will deliver results of restaurants in San Diego that serve pizza. On the other hand, if you are using your desktop computer at home to search for “Pizza”, it may show you results for take out or delivery. Now the search results you see on your screen for a query could be completely different than the same query done at the same time in the same area on someone else’s device. How will Hummingbird affect your business and local search ranking? Probably not much…yet. Hummingbird will take some time to get to know the neighborhood. But Google has always been a pretty quick study so it shouldn’t take long. However, now that you know that the playing field of local search has changed in a fundamental way, you can most likely take advantage before your local competition does. Lots of clients and others moan and groan about Google+, Google+ Local, Google+ for Business, etc. etc….They say, “Too much! I don’t have time to post, don’t care about what my ‘friends’ had for lunch. I just want more business!” I hear you and I feel your pain. But get over it! Seriously folks, you need to embrace this. It is a whole new ball game. And those who adapt to this new game will reap big rewards in the short term until most of your competitors figure out something is different. Then you will benefit long term as your position is solidified by your continued attention to the new dynamic. Have questions about how to best take advantage of this opportunity? How to get started? How to find relevant stuff to write about on your Google Plus (whatever)? Contact us and we’ll be glad to get you started. Or, we’ll be glad to take the burden off of you completely so you can take care of your customer. Having a strong visibility on Google local search is important for sure. But Google isn’t everything even if it powers 70% of all online searches. What about the other 30%? Namely, Bing and Yahoo. Those two combined make up nearly all of the rest of online searches. 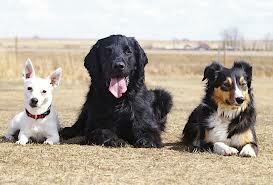 Google is a big dog, but he ain’t the only dog in the yard. Many times when we take over a client’s local search positioning from another “big SEO company”, we are constantly amazed that the “other guys” never registered the business on Bing or Yahoo. This is like telling 3 out of 10 potential customers that you don’t want their business. So don’t forget to submit your business and website to these search engines also. Bing and Yahoo are not nearly as robust as Google (in our humble opinion) and their (mis)handling of local search queries is frustrating. But if they can drive even one new customer to you, why not take the time to submit your business profile and take a shot on their map as well? You know who else constantly monitors Bing and Yahoo? Google! When they see your business listed there, they match the record with theirs and you gain more credibility (or relevance, as we say in the search world). And your business will eventually begin to rank higher on “the mother of all search engines” as well. Does (949) Local craft custom profile pages on Bing and Yahoo? Well…yeah…duh! We even create our client’s Google+ pages of all varieties (Google+ Local, Google+ Business, etc.). But wait, there’s more! We also create custom profiles on dozens of local and national directories to strengthen our client’s citation portfolio. What’s a “citation portfolio” you ask? Oh, we really need to talk. So call us now. Operators are standing by!